Rodarte presented a mesmerising peek into autumn/winter 2019 yesterday, with a high octane show in LA. 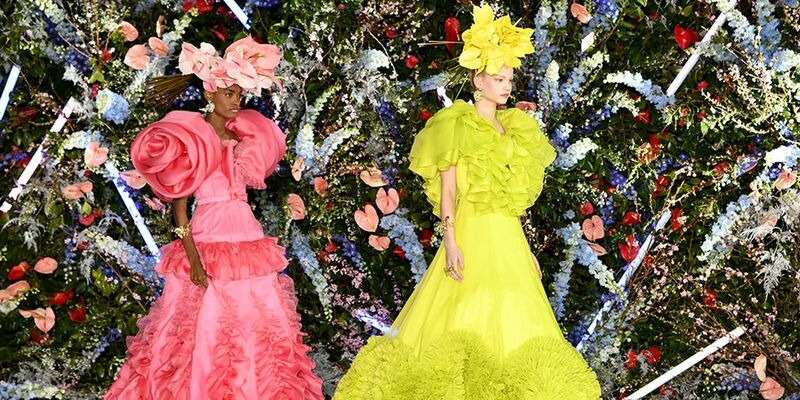 If this is a taste of things to come at New York Fashion Week, the future’s bright and (very, very) beautiful. 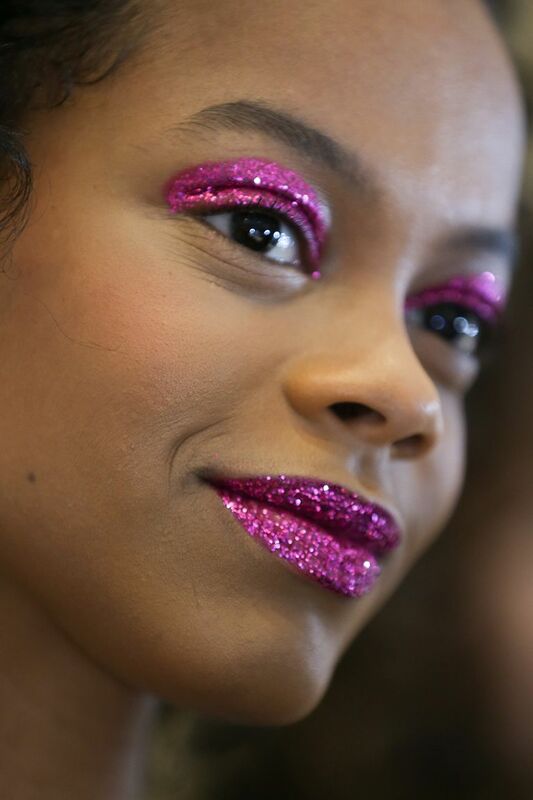 “The make-up for this show was inspired by the vibrant glitter from classic Hollywood musicals,” explained make-up artist James Kaliardos using Nars Cosmetics. 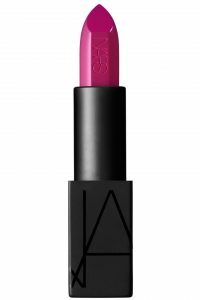 For each look, the same product was used on the lips and lids – a punchy Nars lipstick, which was then layered with loose glitter. 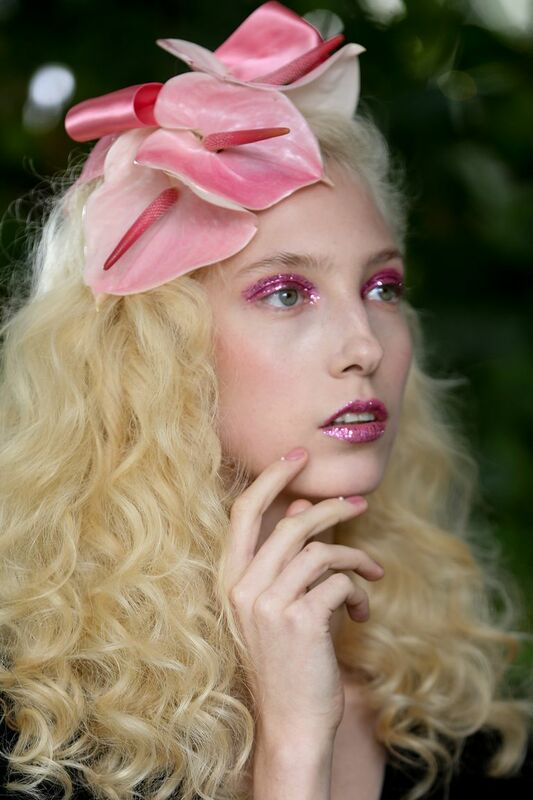 The hair, by Odile Gilbert was equally fantastical. 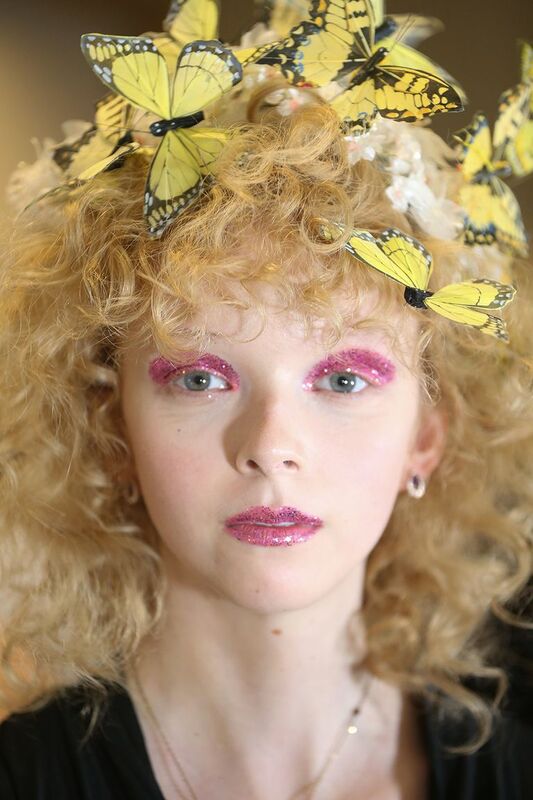 A curl celebration, long hair was mostly side-swept and dressed with various adornments, from flowers to a flurry of faux butterflies. 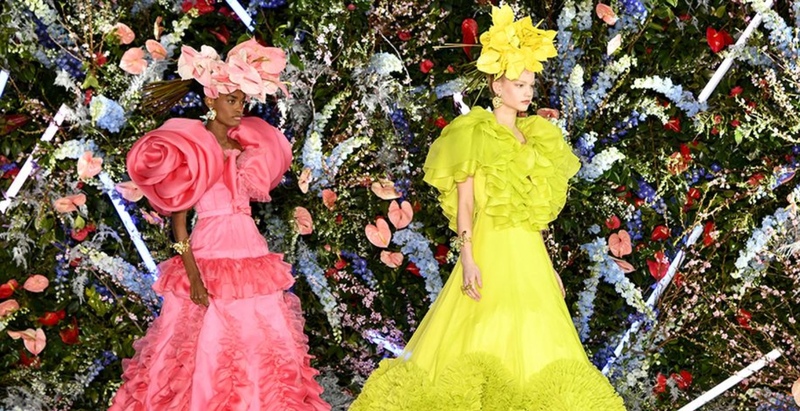 The famed French hairstylist was the woman behind the styles trimmed with breathtaking sculptural floral headpieces at Rodarte’s spring /summer 2019 show, and the garlands made of gypsophila at their spring/summer 2018 show. Surely it can’t get better than this?